Spring brings warmth and elegance within a beautiful dining space set in the New Wing of the iconic Somerset House. We hope to create an experience which not only sings on the plate but lingers in the memory. Our dedicated Event Coordinator will ensure every detail is covered. 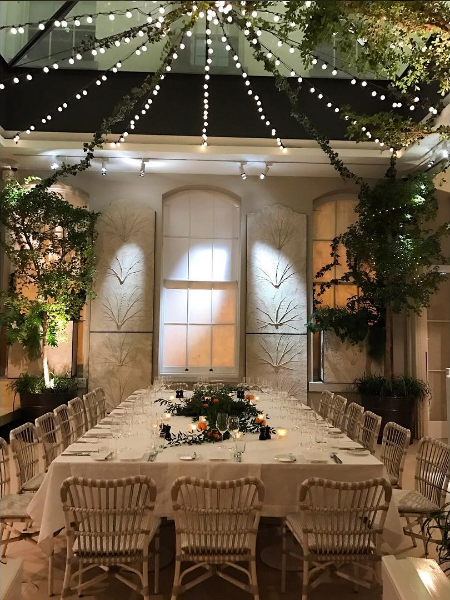 The Salon, our garden dining room sits up to 36 guests in an enclosed interior atrium, allowing for dining throughout the year. Our stylishly relaxed restaurant is available for hire too and can accommodate 116 for a sit down dinner or up to 150 for a standing reception.